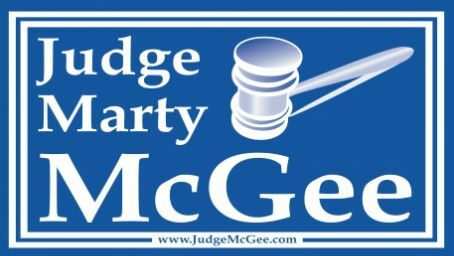 Please donate to the Judge Marty McGee Committee. Help us raise money and share our cause today to elect Judge McGee as the resident Superior Court Judge of Cabarrus County in November. Paid for by the Judge Marty McGee Committee. Contributions are not tax deductible. NC law requires best efforts to collect and report the name, address, job title or profession, and employer of individuals whose cumulative total of contributions exceeds $50. No contributions accepted from corporations, business entities, NC registered lobbyists or foreign nationals. Maximum contribution is $5,000 per elections.